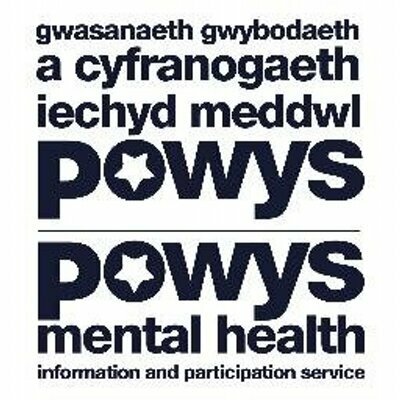 Many are the times I have signposted people calling our Information Service to the mental health advocates working in Powys. Last week two of them, Lynda Evans (North Powys), and Kirstie Morgan (South Powys), came along to the July team meeting of the PAVO Community Connectors to update them about the advocacy services available in the county. I was lucky enough to join them, and this is what we found out. This role was introduced in 2007 when the Mental Health Act was revised and advocacy was put on the statute books. Advocates suddenly had rights which they had not enjoyed before, such as advocating for mental health patients in hospital, on a Community Treatment Order, or detained under the Mental Health Act. The provision is much broader in Wales than in England. Anyone in a hospital bed in Wales who is being treated for a mental health “disorder” is entitled to a mental health advocate. The IMHA can support someone who wants to challenge, for example, their detention under a Section 3 of the MHA. IMHAs can also go into a ward and observe a patient’s treatment and interactions with staff – they cannot be prevented from doing so except in extreme circumstances – such as if the client is unwell and may present a danger to the advocate. IMHAs may, in addition, interview psychiatrists and social workers in private, access the medical notes with permission and share information with the client. With her IMHA hat on Lynda ensures that proper process is followed, and that a person’s rights are upheld. “If a patient is told they can’t have leave because they’ve not been good, that is punishment. They can’t do that. There has to be a clinical reason to stop leave.” In another situation, a patient who is not being detained under a section may be told that they will be detained if they don’t behave. “This is wrong and totally illegal. Our job is to challenge on behalf of a patient. The first loyalty is always to the client/patient”. The Mental Capacity Act 2005 introduced the role of the Independent Mental Capacity Advocate. An IMCA is instructed either by Health or Social Services, not by the patient as they lack capacity. The lack of capacity may be due to a brain injury, mental health issues or dementia. IMCAs can be called on when treatment is about to start or to be withdrawn, and the patient has no family or friends who can be consulted. Or, there could be safeguarding issues which mean that it is not appropriate for the family to act on the best interests of the client. To support the client whilst a Deprivation of Liberty Safeguards assessment is made. The Alzheimer’s Society states that: “If a care home or hospital plans to deprive a person of their liberty… they must get permission. To do this, they must follow strict processes called the Deprivation of Liberty Safeguards (DoLS). DoLS are a set of checks that are designed to ensure that a person who is deprived of their liberty is protected, and that this course of action is both appropriate and in the person’s best interests.” So, for example, when rehousing someone in a nursing home it is important to consider a person’s preferences (they may previously have preferred the countryside to the town). To support a family member who feels overwhelmed by the whole process of being the “relevant person’s representative” – who must be kept informed about the person’s care and treatment and any changes to it. To visit the nursing home once a month to make sure all is as it should be. People in contact with statutory mental health services from age 18 and over in Powys are entitled to receive support from a Community MH Advocate if they wish. Those in receipt of local primary mental health support services (ie: through a GP surgery) have to be screened first as so many people seek support for mental distress from a GP. People have an entitlement under the Mental Health Measure (Wales) to access the CMHT duty desk and regain entry to services within 3 years. Advocates can support clients with this process. Kirstie and Lynda will also sometimes act as Appropriate Adults at police stations in the county to support and advise vulnerable people known to advocacy in police custody. The mental health charity Hafal is the main provider of Appropriate Adults in Powys. Lynda has been an advocate for 14 years now She is employed by Powys Teaching Health Board to be an IMCA and a community advocate, and for a small number of hours a week by Conwy & Denbighshire Mental Health Advocacy Service to be an IMHA in North Powys. Her current base is Fan Gorau at the Montgomery County Infirmary in Newtown, tel: 07736 120 924. Kirstie is employed as a Community Mental Health Advocate by Powys Teaching Health Board, and provides advocacy in Mid and South Powys. She has worked in the field for 13 years now and is currently based at Neuadd Brycheiniog in Brecon, tel: 01874 615996 or mobile: 07967 808 145. Linda Woodward also provides IMCA services across the county, and community advocacy for over 65s in North Powys. She is based with Lynda at Fan Gorau and can be contacted on 07974 935 355. CADMHAS employs three other advocates in Powys – John Curtis in the North, and Adrianne Cleverly and Jane Wazir cover the South. You can contact them by ringing: 01745 816501.